Nowadays, many people use web design templates to build their sites. Such templates offer a wide range of benefits, including saving you lots of money and time which would have been spent in creating a website from scratch. In addition, web design templates are very simple and can be managed by anyone with little or no technical knowledge. 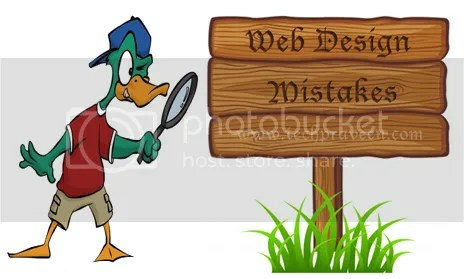 However, there are many mistakes that people make when it comes to choosing and using web design templates. So, what are the most common mistakes and how can you avoid them? Free web design templates which have an attractive appearance or great features are inevitably used by many people. If you decide to build your site using such popular templates, you will end up with a site which looks the same as many others on the internet. A website with a generic appearance lacks appeal and is not likely to be taken seriously by people. Even if the content is excellent, your site will still lose credibility due to the template used. Many people use web design templates without modifying them, thus ending up with websites which lack distinctiveness. Make sure you choose a template which allows you to make different changes to it. For instance, you need to have the ability to alter the images which come with the web design template. Other elements that you might need to alter include the colors, fonts, background and widgets. The main idea behind using a web design template is to save on the time it would take to build a site from scratch. Therefore, it does not make sense when you select a template and go on to spend a significant amount of time modifying its design. This is why it is important to take time to choose a template which will require the least amount of customization, thus saving your precious time. Don’t make the mistake of selecting a template only on the basis of its appearance. A site that looks good but is not useful for visitors is useless. Therefore, your choice of a template should be based primarily on the needs of your site. For instance, if you are planning to sell merchandise through your site, you need to choose a template which has ecommerce capability. Your website should look the same when accessed through different browsers. This is why it is important to select templates which are compatible with browsers such as Mozilla Firefox, Opera, Google Chrome and Safari, among others. In addition, you need to ensure that the template is compatible with mobile devices such as smart phones, tablets and iPads. Charles Mburugu has a passion for web-based technologies and online business. He is presently writing for MotoCMS HTML templates. Agree with above points. Good website design is very essential to make visitors visit their website again and again. Thank you so much for this wonderful tutorial. All the tips given here in this blog is very much helpful for all the people associated with this.